‘It’s just a little injection’, I said lightly. The Maltese Terrier looked at me trembling, with her eyes bulging. From her perspective, the syringe was an obscure instrument of torture. She could not understand why she was being grasped by a complete stranger and why her owner was not protecting her from this dangerous and aggressive person. One of the frustrating aspects of life as a vet is that we cannot explain to our patients that we are helping them. 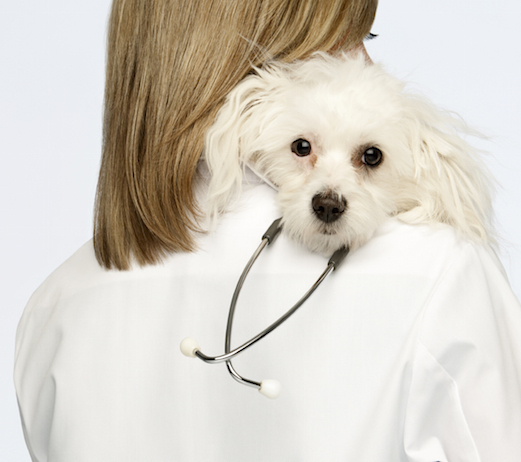 Vets like animals – we have a strong desire to make them healthy and happy. Yet from the animal’s perspective, vets are the only class of human being from which their owners are unable to protect them. 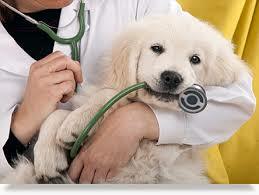 If anybody else behaved like a vet, the caring owner would keep them well away from their much-loved pet animals. Vets forcibly manhandle animals, lift them unceremoniously onto tables, poke and prod them all over, push thermometers up their rear ends and finally spear them with sharp needles. It is no wonder that we are not often the favourite person in the average pet’s address book! Most vets have stories of being recognised off-duty by nervous patients. I remember soon after qualifying I walked into a pub behind two friends. They had both encountered a large dog, who had gently wagged his tail as they moved past him. This amiable animal then set his eyes on myself, and he was transformed into a wild beast – growling and snarling, with his hackles up and his teeth bared. He would not back down, and I had to leave the pub with my tail between my legs! I had treated the dog after a road accident the previous month, and all he could remember was the unpleasant aspects of the experience. He could not make the connection between his encounter with myself and the fact that he had recovered from his injuries. However, we all like to think that some animals do make the connection between our ministrations and their subsequent good health. We all have our favourite patients who do seem to enjoy visiting the vet, and who make us feel that they are still our friends. We do try to make the pet’s visit to the veterinary clinic as pleasant as possible, so that hopefully there is less justification for future resentment. We spend time saying hello to pets, winning their trust before attempting anything which might be a little distressing for them. We try to give injections using techniques which are as pain free as possible. We make use of sedatives and anaesthetics to avoid our patients experiencing any unnecessary discomfort while fully conscious. And if an animal has been well behaved, a small treat (full of vitamins of course) is sometimes popped into their mouths as they leave, to end their experience on a positive note. There are few sights more rewarding to us vets than to see a previously seriously ill animal returning to our clinic when cured. It is always pleasing to meet a smiling grateful owner at this time. But the best sight of all is for the animal itself to happily return to the clinic, tail wagging and muscles straining at the lead, eager to rush in and greet the person who has made them better.